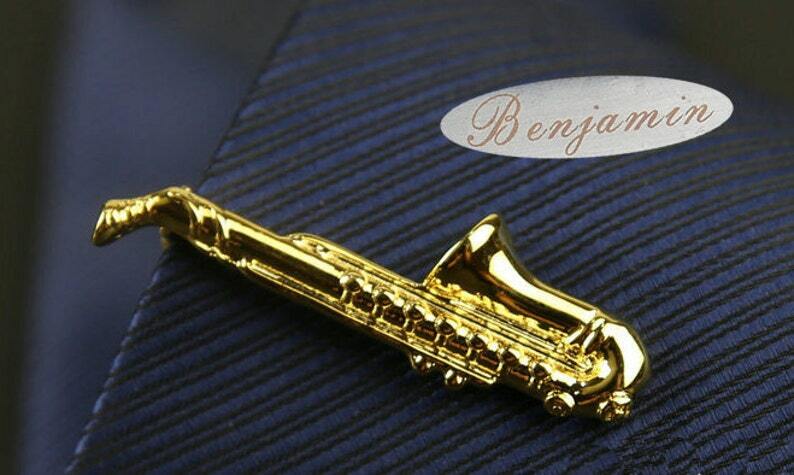 "Custom Engraved， The tie clips can be personalized with a message of your choice, initials, date ，You can also put a secret message or date on the back of the clip as seen in the third picture. Customize Our Tie Clip with Any Name or Initials for a One of a Kind Gift He Will Love.if you don't like the word which on the photo . please contact me I will be based on you need for you design"
PLEASE NOTE: My personalized items are hand stamped. Therefore each piece will be slightly different and you should expect slight variations from the photos. No two pieces are alike. Text and designs may not be absolutely perfect and straight, but it gives each piece unique detail and should not be considered a defect. Just as pictured. Great packaging. Just came in today and I absolutely love it! Conversation with seller went very smoothly and they were very helpful. Though shipping was slow and the lettering is a bit small I love it nonetheless!! I can't wait to give it to my boyfriend! Shipping took about 4 weeks because it comes from china. But it was worth every penny. I'm truly happy with the out come. Everything I expected.